Iraqi Christians are the indigenous people and native citizens of Mesopotamia and Iraq is their ancestral homeland, often referred to as "cradle of civilization". They converted to Christianity when St Thomas the Apostle evangelized after Jesus' death in the first Century and were able to survive in Iraq for close to two thousand years. 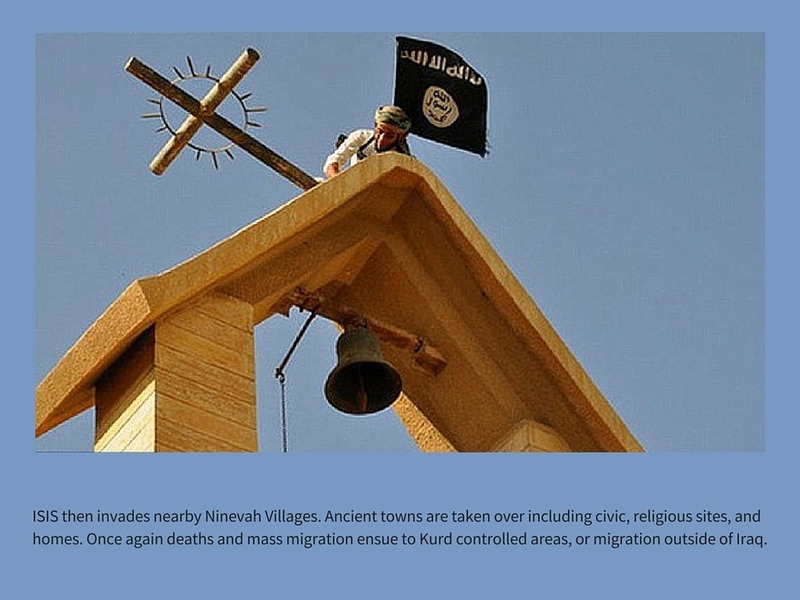 Today, Iraqi Christians are facing a real genocide that will diminish their presence in that region as one of the oldest Christian communities in the world. Since the invasion of Iraq in 2003, the number of Iraqi Christians has declined from 1.5 million to around 400,000. In 2014, the world watched in horror as ISIS captured the city of Mosul, forcing more than 200,000 innocent Iraqi Christians from their homes. The local Christian community has faced devastating wide-spread abuses, including forced expulsion from their historic homelands, forced conversions, rapes and enslavement of women and children, torture, beheadings, and massacres. 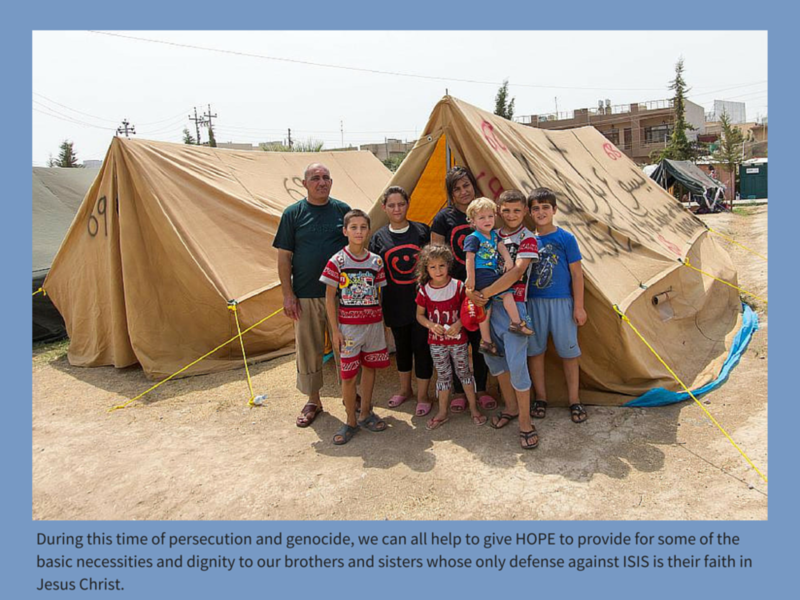 Below is an illustrated story of Iraqi Christian refugee families.